Gas Savings – Tottenham Beeton & District Chamber of Commerce Inc.
3.5 cents off per litre, no minimum gas purchase, no annual fees, and no interest for 30 days. 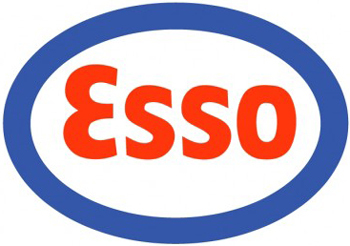 Tottenham Beeton & District Chamber of Commerce members can now receive a 3.5 cent PER LITRE discount at Esso Gas stations with the Esso credit card. This is a discount that is available to Chamber Member businesses as well as for the employees of the Chamber Member business. You must be a Tottenham Beeton & District Chamber member in good standing to apply and applications would be subject to credit approval. The discount is available throughout Canada at all commercial ESSO gas stations (sorry not available at cardlock sites) and the discount is automatically applied to your purchases when you use your Chamber discount ESSO credit card. Your chamber is hard at work looking for services and benefits to help build business towards a better future. We were able to obtain this benefit for our members and their employees because of our membership in the Ontario Chamber of Commerce which is a member of the Canadian Chamber of Commerce. See? There is strength in numbers and benefit in membership. Click here for more information and to apply for the Esso Business Card program or call 1-888-330-2419. For more information about this and other benefits, just give us a call at 905-936-4100. We are here to serve you.